When I was in college and a young believer, one of the first Christian books I read was Bill Bright’s Witnessing without Fear. 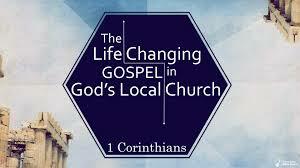 It was a helpful introduction to evangelism and the call of disciples to be witnesses for Jesus. Just beginning to understand what it meant to follow Christ and make disciples, this book helped immensely to be a ‘witness’ for Christ. Today, I’m still thankful for that book. Recently, as I read through Acts, the theme of witnessing came to the fore again. And how could it not? In Acts 1:8 Jesus tells his disciples to remain in Jerusalem until the Holy Spirit comes to empower them to be his witnesses in Jerusalem, Judea and Samaria, and to the ends of the earth. Indeed, “witnessing” is something more than a spiritual discipline or a Tuesday night activity. It is the very essence of who we are as Christians. But what does that mean? And how exactly are we to speak about Jesus? Perhaps the best way to answer that question is to see how the apostles “witnessed” to Jesus in the book of Acts. After Jesus’ identifies his followers as his witnesses in Acts 1:8, Luke uses the word μάρτυς 12 more times to describe the witness-bearing of the early church (1:8, 22; 2:32, 40; 3:15; 4:33; 13:31; 14:3, 17; 22:5, 20, 15; 26:16). (He also uses the verb μαρτύρομαι twice, 20:26; 26:22). From observing how this word is used we can begin to sketch what a faithful witness might look like. While a whole theology of witnessing could be written from Acts and the rest of the New Testament (e.g., see Allison Trites, The New Testament Concept of Witness), let me suggest five truths about witnessing from the book of Acts. Jesus begins by telling his disciples that in just a few days they will receive his Spirit, and when they do, Jesus says, “you will be my witnesses.” From John, we know Jesus’ Spirit is called the “comforter” or “helper” (παράκλητος). He will take Jesus’ place and be just like him (ἄλλος in John 14:16). In other words, the gift of the Spirit is the gift of Jesus’ very presence mediated by the Spirit. In this way, he will continue to be with them and in them (John 14:17). Conversely, the disciples will be his personal witnesses. Witnesses bear testimony about what they know, and in this case it is Who they know. As John testifies in his first epistle, “That which was from the beginning, which we have heard, which we have seen with our eyes, which we looked upon and have touched with our hands, concerning the word of life (1:1), so we bear witness to the God who we know. Witnessing is not possible for those who do not know Christ; and it is strengthened as those who know the Lord grow in love with and knowledge of the One who saved them. 2. Witnessing is primarily about the resurrection. The first place where the content of witnessing is described is Acts 1:22: “. . . one of these men must become with us a witness to his resurrection.” In deciding who would replace Judas, the qualifications included eye-witness testimony of Christ’s resurrection. Significantly, the primary witness in Acts is not about Christ’s cross, but his resurrection from the dead (which, of course, presupposes and includes his cross). This resurrection-emphasis is indicated in this requirement and in the way testimony about Christ’s resurrection repeats in Acts (2:32; 3:15; 4:33; 13:30-31). In each of these verses, witness is made about the resurrection. Accordingly, we who witness today must not speak merely of a God who is loving, a Christ who forgives sins, or a salvation that provides second chances. Such gospel messages truncate the full gospel and miss the power of Christ’s Lordship. Jesus is not a Forgiver who happens to be Lord; he is the Lord who died to secure forgiveness through his death and resurrection. Acts puts emphasis on his resurrection and we should too. If witnessing focuses on Christ’s resurrection, it also includes all that he said and did. For instances, Acts 5:32 says the apostles bore witness to “all these things.” The “these things” are explicated in the previous two verses: “The God of our fathers raised Jesus, whom you killed by hanging him on a tree. God exalted him at his right hand as Leader and Savior, to give repentance to Israel and forgiveness of sins” (vv. 30–31). Death, resurrection, and exaltation to the right hand of God were assigned to Christ, so that he might send his Spirit to grant repentnace which provides salvation; these are the primary facets of the gospel. And they are what true witnesses proclaim. They put him to death by hanging him on a tree, 40 but God raised him on the third day and made him to appear, 41 not to all the people but to us who had been chosen by God as witnesses, who ate and drank with him after he rose from the dead. 42 And he commanded us to preach to the people and to testify that he is the one appointed by God to be judge of the living and the dead. 43 To him all the prophets bear witness that everyone who believes in him receives forgiveness of sins through his name. Under Jesus’ command his witnesses are to testify about him, just like the prophets of old. And like the prophets God chose to carry his message, we see in Acts 10:41 how God chooses us, as well. We do not choose to be his witnesses; he chooses us. Therefore, just as the center of our message is Christ, so is our source. Only by God’s gracious election in Christ will we be, can we be, witnesses to Christ. 4. Witnessing is accompanied by the witness of the Spirit. After the apostles identifies themselves by their testimony in Acts 5:32, they identify the Holy Spirit as bearing witness with them: “. . . and so is the Holy Spirit, whom God has given to those who obey him.” As Jesus promised in Acts 1:8, the Spirit would empower his disciples to bear witness. In fact, it is impossible to proclaim Christ without the Spirit. Therefore, witnessing is not something we do in our own strength, it requires the gracious work of the Spirit in us. Therefore, witnessing is a profoundly spiritual activity. Just as the early church received the Spirit and had multiple subsequent”fillings of the Spirit” (4:8, 31; etc. ), so we rely on the power and presence of the Spirit, too. Witnessing requires faith, prayer, and the power of the Spirit. In short, to witness to others, we need the witness of the Spirit. 5. The goal of witnessing is the salvation of others, not just the dissemination of (gospel) information. In Bill Bright’s book, he defined evangelism as sharing the good news “and leaving the results up to God.” To be sure, this is a liberating principle: God grants salvation, not us. However, I wonder if it may lead to a kind of evangelistic indifference. I can imagine someone justifying, “It’s all up to God, so as long as drop a few gospel nuggets, I can minimize the awkwardness of the conversation, and trust him with the results.”Because evangelism is warfare, we come up with all kinds of excuses to witness. In short, the apostles who received Jesus’ instruction did so in order to be witnesses of Christ. And filled with the Spirit they went out confident that their message would be heard and believed by those appointed to eternal life, i.e., the sheep of God scattered throughout the world (cf. John 10:16, 26). Therefore, witnesses go out with confidence that the gospel will be successful, and we cannot be content with simply discharging the message. Rather, we must long for the salvation of others, stopping at nothing to see others come to faith in Christ. This is what we see in the book of Acts, a fellowship of disciples on mission to make disciples. To repeat what I said earlier, witnessing is not something we do; t is who we are. Thus like Paul, who said in 1 Corinthians 9 that he did everything for the sake of the salvation of others, we too should live our lives as personal witnesses of Christ, his resurrection, and everything else that he did. To that end, let us labor, with prayerful confidence that God will take the gospel to the nations as we, his witnesses, fulfill our calling. May this short study help us understand that role, and may the witness of the Holy Spirit impassion us to grow as witnesses.